I spent a good part of the afternoon with David Sibley, who has a talk at Audubon Greenwich tonight (March 22). With the help of The Hour photographer Erik Trautmann, we did a nice interview with David about the second edition of his field guide and a bunch of other birding topics. We’ll have that interview at http://www.thehour.com and also here at http://www.birdsofnewengland.com in the near future. A big honor for BirdsofNewEngland.com. 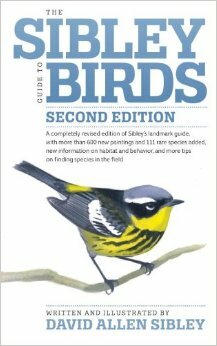 This entry was posted in Birding news and tagged David Sibley, the Sibley Guide to Birds by Chris Bosak. Bookmark the permalink.